Caliburn Fusion, software for manufacturing, production and order processing of windows, doors, conservatories and more. © 2000-2012 Copyright Caliburn Software Ltd.
Caliburn Fusion is a specifically designed software solution for the Window, Door, Conservatory and curtain walling industry. Caliburn Fusion provides seamless integration of the latest technologies, aimed at bringing your window business together. Unparalleled speed increases with the inclusion of an entirely 'open' database, enabling fast 'SQL' access to important data (even without Caliburn running in some cases!). The Mulled option has a major boost in functionality, including 3D overlay capabilities. How does Caliburn Fusion work? 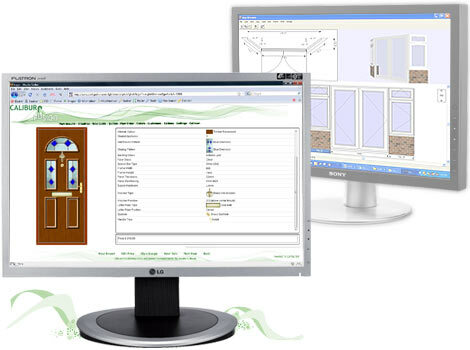 Caliburn Fusion is the most intuitive software available for the Window, Door and Conservatory industry. Due to its unique modular format, whether you manufacture or not, Caliburn will suit your needs. You can purchase only the options that you require, yet still leave the door open to add further functionality as time goes on, allowing it to grow with you and your business. Quite simply, imagine Caliburn as your toolbox. A toolbox starts with just the basic tools you need, but as soon as you become more adapt you can add more tools to help you cope with the new work that you undertake. Caliburn Fusion is the same. Start with the basic package with only the options that you need, and then when your business grows you can add more options to cope with your growing needs. The list to the right shows the bolt-on modules that are available for Caliburn Fusion, indicating also the extensive features available.